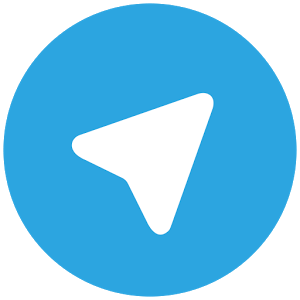 Telegram is a secure messaging app that a lot of people like more than WhatsApp, not that it really matters what's objectively better than the other. Messaging apps are only useful if other people are using them. Telegram does okay, though, and maybe today's update will drive adoption even more. It has stickers! Stickers! Here's the changelog for v2.9. If you are into stickers in messaging apps, I guess this will be great for you. 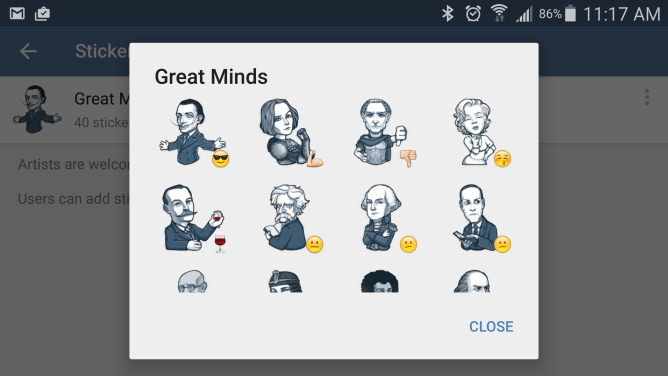 Artists can send new stickers to the @Stickers bot on Telegram. And Telegram is encrypted so you don't have to worry about the NSA getting your stickers. As for the Android Auto integration, I'm not completely sure how that's supposed to work. I tried some voice commands with Android Auto and Telegram, but no dice. We've reached out to Telegram for additional details.